Leaders in Child Care & Early Childhood Education - Tender Years, Inc. While nice facilities and a strong curriculum are important, it’s ultimately people who make the biggest impact on your child’s development. Each member of our leadership team is committed to maintaining a highly educational and nurturing environment for your child. In addition to their long tenure with Tender Years, we’re also proud of the fact that many of their staff – teachers and assistants – have also been with us for many years. We think that says a lot about how we do things here. Betty founded Tender Years in 1984 when, as a working mother of two children, she realized how difficult it was to find quality child care. At the time, she also saw that more mothers were entering the workforce and needed what she herself had been searching for. With few options available to her and other working families, she decided to utilize her business background to give birth to her third child, Tender Years, Inc.
Over the last 30 years, Betty has worked diligently to build Tender Years’ strong reputation for being an education-focused, family-driven childcare solution. As a mother and grandmother, she understands the needs of local parents, as well as the communities and school districts we serve. Although Betty is retired from the business today, she stills serves as a mentor to her families business. 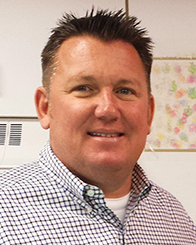 Jay joined Tender Years in 1988, shortly after earning his B.A. in Business Administration. With the original intent to help his mother’s business on a short-term basis while he pursued new career opportunities, he quickly realized it was a great time to be involved in starting a business. Jay envisioned Tender Years as more than a babysitting service. He envisioned a company that could grow to provide care and early education to even more families and have a greater impact in the community. Over the last 30 years, Jay has built the financial structure and family-like culture that makes Tender Years what it is today. Along the way, he has orchestrated projects with The Hershey Company, GISI Insurance Company, Caldwell Development Company, Lobar Associates, Rachael Carson State Office Building Parents Association, St. Theresa’s School, and more recently, Charter Homes and Neighborhoods. Jay lives in Mechanicsburg with his wife and two children. He is a member of the Harrisburg Lions Club and volunteers with The Leukemia & Lymphoma Society. Kimberly joined her family business, as an Early Childhood Teacher in 1994. 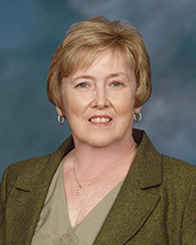 Upon completing her Bachelor’s Degree in Psychology and Early Childhood Education from Shippensburg University in 1996, Kimberly worked for several years as the Director of the Camp Hill, Hershey and Harrisburg (Paxton Street) locations. She was responsible for the opening of the Rachel Carson State Office Building Center location and was the center Director. 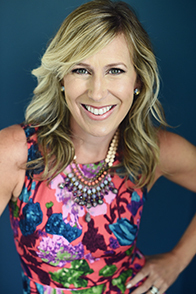 She completed her Master’s Degree in Education from Temple University in 2000 and worked part time, traveling the country, as a trainer for the Devereux Early Childhood Assessment (DECA) tool. From 2001-2010, Kimberly spent the winters overseas where she had the opportunity to work in bilingual preschools/Montessori preschools, teaching English in an International school and designing bilingual playgroups for a Parent-Child Center. Most importantly, she became a mother and it is these experiences that Kimberly credits most for her development as an Early Childhood Professional. Upon her return to the United States full time, it was her dream to help to expand and grow the company. She was instrumental in the design, start up and opening of the Mechanicsburg location from 2013-2016. During this time, she created and implemented the Tender Years Academy program-bringing foreign language, science and sign language into the regular classroom, ACE customized Curriculum and K-Readiness. Most recently Kimberly received her Director’s Credential, a requirement for the PA Keystone STARS program. Kimberly looks forward to meeting each and every one of you as she spends her days overseeing all three locations. In her spare time, she enjoys spending time with husband, children and being active! Tania has been the Director of our Hershey Child Development Center for 15 years. She is a graduate of Kutztown University where she received a Bachelor of Science degree in Elementary Education with a concentration in Early Childhood. She holds current certifications in both areas, and she is currently working toward her Director’s Credential. Prior to joining the Tender Years team, she taught preschool, taught in the public school system as a substitute teacher, and later transitioned into teaching Kindergarten. In her free time, Tania enjoys spending time with her husband of 22 years, Michael, as well as their two teenagers (both of whom are proud graduates of Tender Years’ Kindergarten program). She spends much of her time at their sporting events, as well as with her large extended family. Rebecca is a graduate of Millersville University, where she received a Bachelor of Science degree in Elementary Education. She currently holds teaching certifications in elementary and early childhood education, and is working towards her Director’s Credential. Rebecca first joined the Tender Years team as the preschool teacher at our Hershey location. Prior to this, she has worked as a substitute in the public school system and held positions in several different childcare centers from toddler to school age in both Pennsylvania and Georgia. In her free time, Rebecca enjoys spending time hiking outdoors and preparing for local 5K and half marathon walks and runs. Courtney has been working with Tender Years since the beginning of the 2016 school year as a Kindergarten/School Age Teacher. 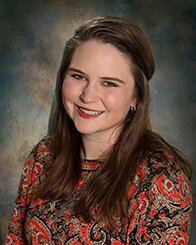 She is a 2009 Northern York County High School graduate, and received her Bachelor of Science in Education with a major in Secondary Social Studies from Millersville University. 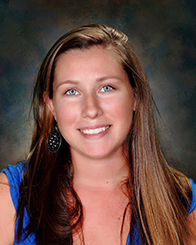 She is Pennsylvania State certified for Social Studies grades 7-12, English grades 7- 12 and PreK-4. Her experience includes 5 years of teaching various grades, primarily Kindergarten, and has served as the School Age Child Care Coordinator at the West Shore YMCA. Parents will love her passion for teaching, sharing, and interacting with children of all ages! In her personal time, Courtney can be found spending time outdoors, enjoying a hot cup of coffee with her husband, Craig, or playing with their their two “puppy dogs”, Winston & Jack. Courtney and her husband also welcomed a new baby boy into their family, Deacon Lester.